I don’t believe in a damn thing. UFO’s, Bigfoot, ESP, the Loch Ness Monster, ghosts, you name it. In my mind it’s all a bunch of poop. Despite that, I still consider myself very open minded. The reason for this is nothing revolutionary. It’s a reason that other Skeptics sight as to why they too are open minded. Simply put, I want there to be flying saucers. Are you kidding? Alien visitors from another planet, how awesome would that be? I want there to be a Loch Ness Monster. The idea of some animal surviving from the age of the dinosaurs would be fascinating. I want there to be ghosts. Who in their right mind wouldn’t want there to be an afterlife? ESP? Bring it on. Mindreading would be the bomb. 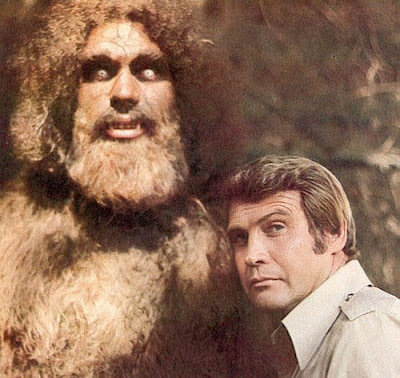 Now, in the spirit of complete disclosure, Bigfoot doesn’t do anything for me. If there really is some big, hairy, naked guy running around in the woods of Montana, I’d just as soon not know about it - but UFO’S?